David may be living with cerebral palsy, but he is like most 4-year-old boys. 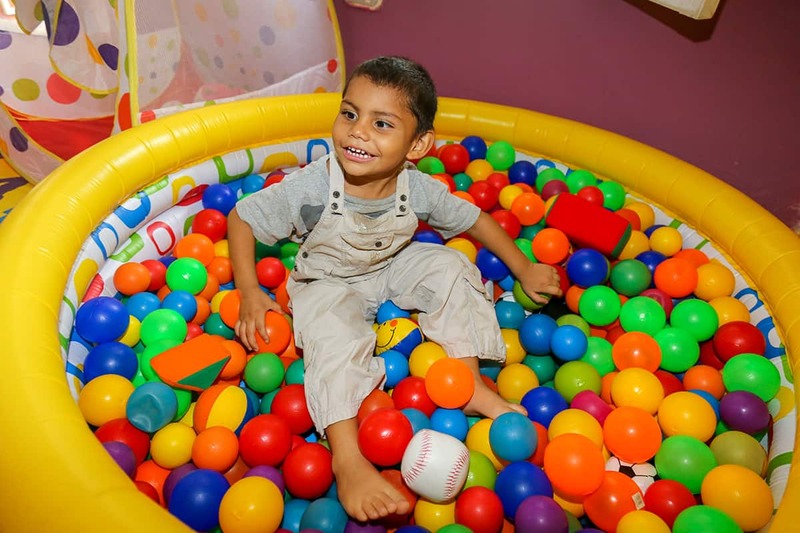 He loves singing, playing in his colorful ball pool, and receives abundant love from his grandmother. In fact, his grandmother, Miriam, is one of the biggest reasons David is the happy, smiling boy he is today. Because of her, David is cared for and happily thriving. Miriam Mendoza is a humble woman from Colombia. She has worked for many years cleaning homes in order to provide for her family. She is 65 years old and has some health problems. However, she is a brave mother and grandmother who has not given up despite her family’s difficulties. Miriam had three children. One of them was a baby girl called Indira, who suffered a high fever that caused her neurological problems. Indira is now 34 years old and has an intellectual disability, which affects the way she relates to people. Indira also suffers from schizophrenia. She has trouble speaking with others and suffers from emotional crises. For this, she needs to take medication. Four years ago, Indira had a constant stomachache. Miriam was worried about her daughter and decided to take her to visit the doctor. There, she discovered that Indira was eight months pregnant. Miriam loves God and attends her local Foursquare Church in Santa Marta. After she found out about Indira’s pregnancy, Miriam looked to her church for advice. Her pastor and church leaders encouraged her to trust God. One month later, David was born, and Miriam changed her mind about him. David’s tutors first discovered that he may have cerebral palsy. David was 2 months old when he was registered in our Child Survival program. As his caregiver, Miriam attended the program with him for the stimulation classes and group sessions. One month later, Yubeth Ortega, a tutor there, noticed that David’s development was not as good at it should be. David did not look at people, and he did not smile. Yubeth scheduled David an appointment with a pediatrician. After several medical exams that were paid for by his local church, doctors diagnosed David with cerebral palsy. They said the possible cause was the medication that Indira took during her pregnancy. It was terrible news for Miriam, who refused to believe it. Miriam used to cry during the survival tutors’ visits at her home, seeing that David was not developing well. During the years that David has been part of our program, he has received help to improve his development. 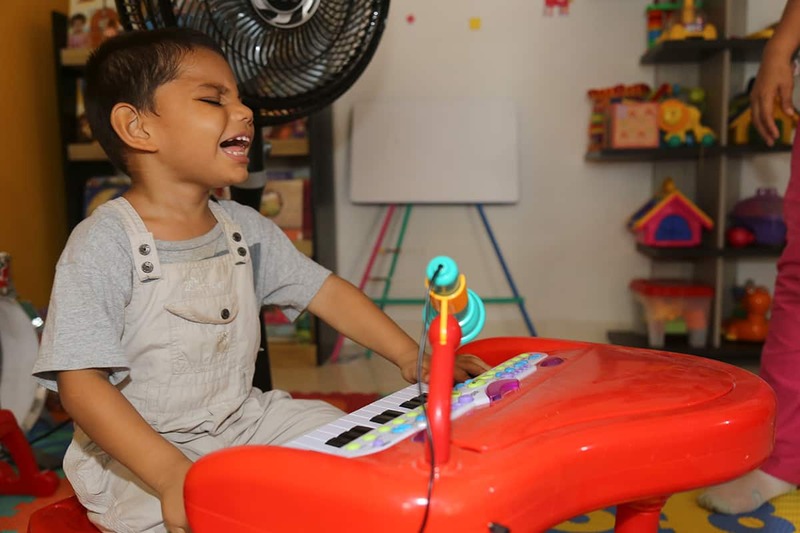 The staff at the center helped Miriam get in touch with a foundation that treats children with cerebral palsy, and he now receives treatment there. Meanwhile, David is progressing. During the home visits and activities with his tutors, David receives the stimulation, love and care that he needs. Yubeth had not previously worked with any child with cerebral palsy. She now reads and researches to learn more about the condition and how to work to improve David’s development. It has not been easy for Miriam to raise David. Miriam does not earn enough money to provide for her family, considering that she also cares for her daughter, Indira. Due to this, David is receiving monthly help for food through the Highly Vulnerable Children Fund. The family also received help to buy a new bed for David and Indira and some other basic elements to improve their quality of life. 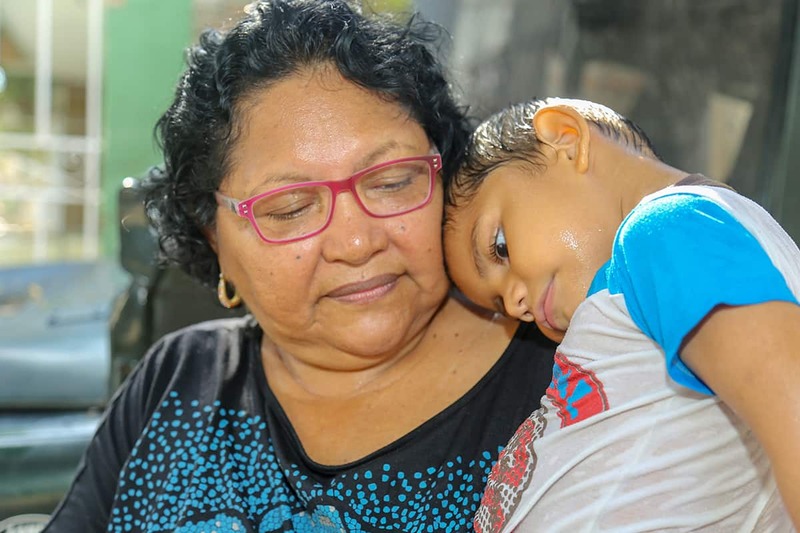 Miriam has also learned how to properly take care of David, giving him the love that his mother is not able to give him. This support has been really important for Miriam. Miriam and Yubeth want to see David developing more each day. They are all willing to help him have a good life, even though it means a lot of hard work. David has not only survived; he is living a happy life. 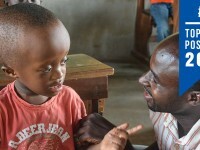 David even receives special encouragement from his sponsor, who also lives with cerebral palsy. They’ve developed a relationship of writing letters. In their correspondence, she encourages David and his grandmother and tells them that she prays for them. David and his sponsor being able to relate to each other brings both of them so much joy! 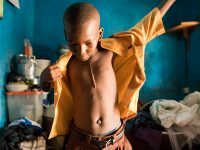 Children with disabilities around the world are often highly vulnerable due to lack of education, care, and the threat of mistreatment or even death. This risk is even higher in their first few years. Thanks to your support, along with Miriam and Yubeth’s efforts, David has the access to the care he needs for his cerebral palsy and the opportunity for a happy and healthy life. 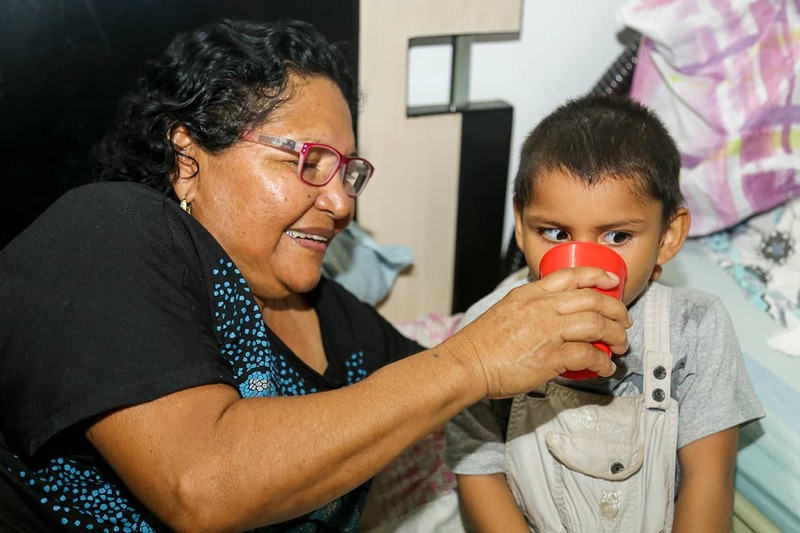 You can help children and their caretakers, like David and Miriam, get a good start at life. This is such a beautiful story! I love that David’s sponsor can relate to him in a way that others without cerebral palsy could not. What a great ministry!